Thank you, Ombugge. Great display in Singapore! So, how many of you wrote 2018 in the calendar by mistake this year. For a change, I have so far written all entries in the Deck Logbook with the CORRECT year. Happy New Year ...and hanging out with you a while on "watch Captain reading CVF Live" was a huge pleasure - especially watching your expressions when you found my little poem reply to your earlier New Year Greeting! I have not yet "thrown out" the Christmas from my home, how is the situation at your end? Have the tree been thrown out yet? 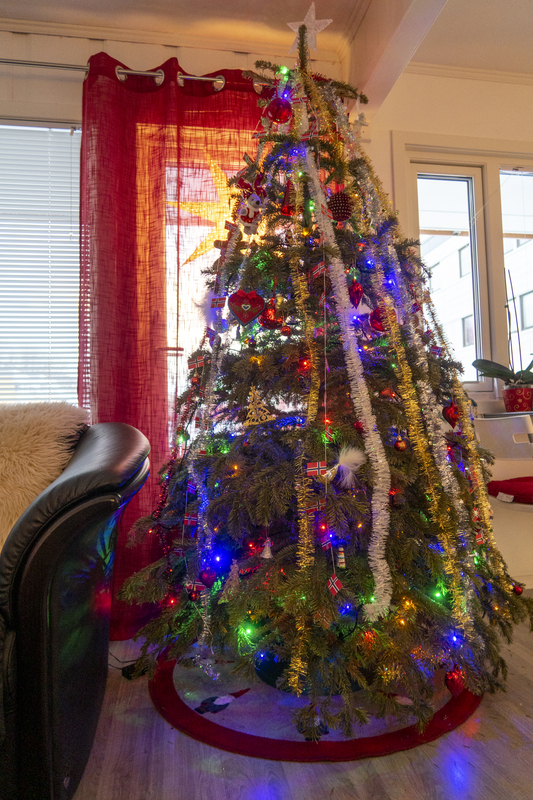 Additionally, before we all bury this Christmas, show us your Christmas tree of 2018! for the simple reason that thursday Wesley picked up his truck and clean his truck inside and stif everything back in it, on thursday and friday, and i wold pock up the HC for cleaning and load everything back in on saterday and maybe sunday. Both we will be gone on monday, and than had Henny everything to do by herself. 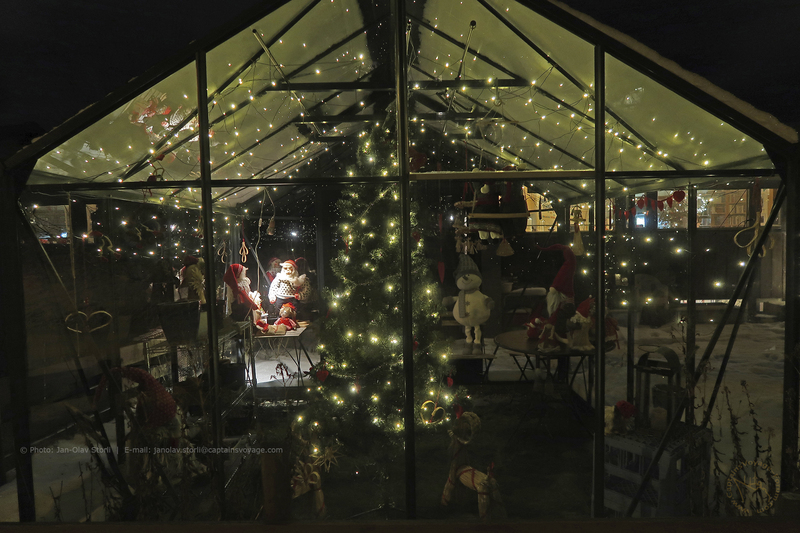 I didn't have a Christmas Tree, and Lille Nisse has already departed on his sleigh along with my other traditional decorations such as the straw Goat and the snow globe (Gävle goat souvenir!). 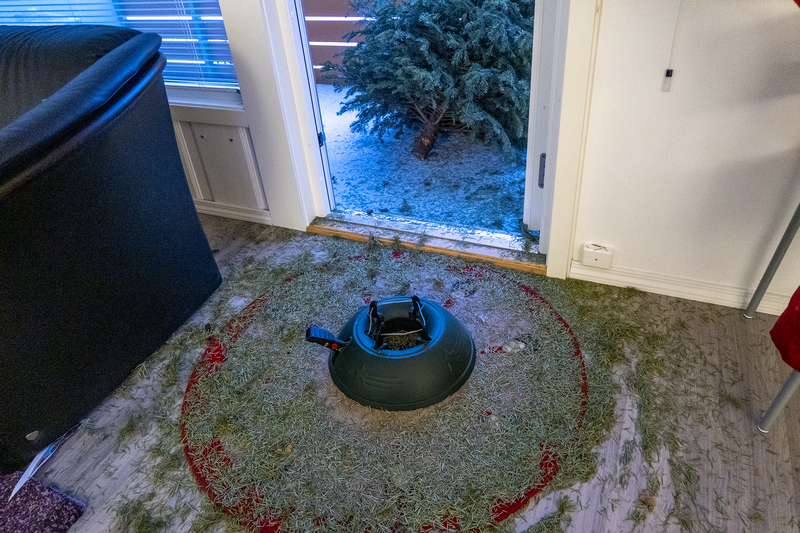 I threw out the remains of my Christmas tree only yesterday - but before I got it out the door, absolutely every single pine needle was left inside and on the floor, in the sofa, stuck curtains and what not. I even found pine needles in my SHOES, which was in another room!